Overall, 2018 was a rough year for our family and we concentrated on surviving and then finding our new normal. Towards the end of 2018, I started to feel more like myself and very slowly started finding motivation to move from merely surviving to thriving. I wish I knew what jump-started this motivation, but I don’t. Even if I can’t pinpoint the cause, it’s time to start moving forward. In December, I listened to a podcast about compound interest. Normally, compound interest is a phrase used when discussing personal finance. But in this podcast, the phrase was being used to describe any actions taken on a regular basis to work toward a desired result. For example, cleaning one’s house for a few minutes a day will create a compound effect toward having an overall cleaner home. Skipping dessert today and then again tomorrow will create a compound effect that will later result in a more healthy body. As 2019 started, I decided that it was time to ease myself back into my Chinese studies. A thought often discussed on language forums is that you don’t want to look back to a year ago and think of how much closer you would be to fluency if only you had taken the time to study a few minutes each day. This is a fantastic example of compound interest. It takes a regular, ongoing effort to become fluent in a language. At the beginning of the month, I started out only studying a couple of minutes a day. My only goal was to catch up on my flashcard backlog, which consisted of roughly 100 vocabulary words and phrases and another 500 hanzi characters. As I started studying, I found that I craved more. As odd as it sounds, I missed studying Chinese. Then I dug up a travel channel on YouTube about a guy who toured Taiwan in order to enjoy the local cuisine. That led to browsing Pinterest and adding pins to my travel board for our 2020 trip to Taiwan. Then I found another travel blogger who is a polyglot, someone who learns multiple languages. Now, just two weeks after making a decision to embrace that compound effect of studying, I am thirsting for more language studies. I had forgotten how much I love learning languages. Suddenly, it hit me – languages are my passion. Either I’ve never given myself permission to embrace language learning as a passion or I’ve forgotten how much I have always loved studying languages. In high school, I spent a year learning Latin and two years learning Spanish. After getting married, thanks to the influence of my husband, I spent a few years learning Japanese. 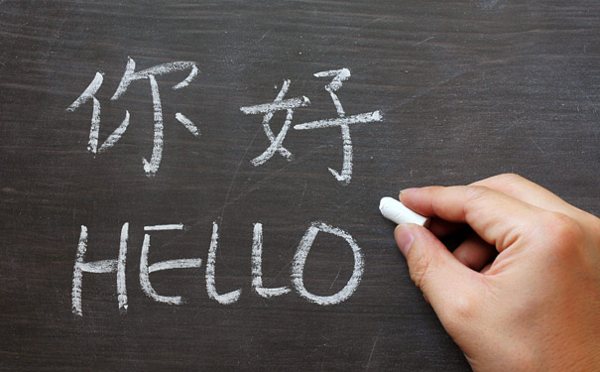 When we decided to adopt our daughter from Taiwan, I switched to learning Chinese. And I have loved my time spent with each of these languages! I don’t know where my language efforts will lead me. All I can do is make a daily effort and keep reminding myself that it’s ok to be passionate about learning languages. It’s not selfish and it’s not useless. There must be a reason I love the challenge. For now, I’ll continue with Chinese. Eventually, I hope to revisit Japanese and maybe I’ll start a new language as well. There are so many options and I’m excited about all of the possibilities. Happy New Year to you and all the very best for your language studies. Unlike you I don’t find studying a language enthralling. I know nothing of any Chinese language but have heard that a tonal language is immensely difficult so take my hat off to you. All the very best.